The Isabella Box remains one of the most popular boxes to date. This darling design is delicate and soft with its blush tones. 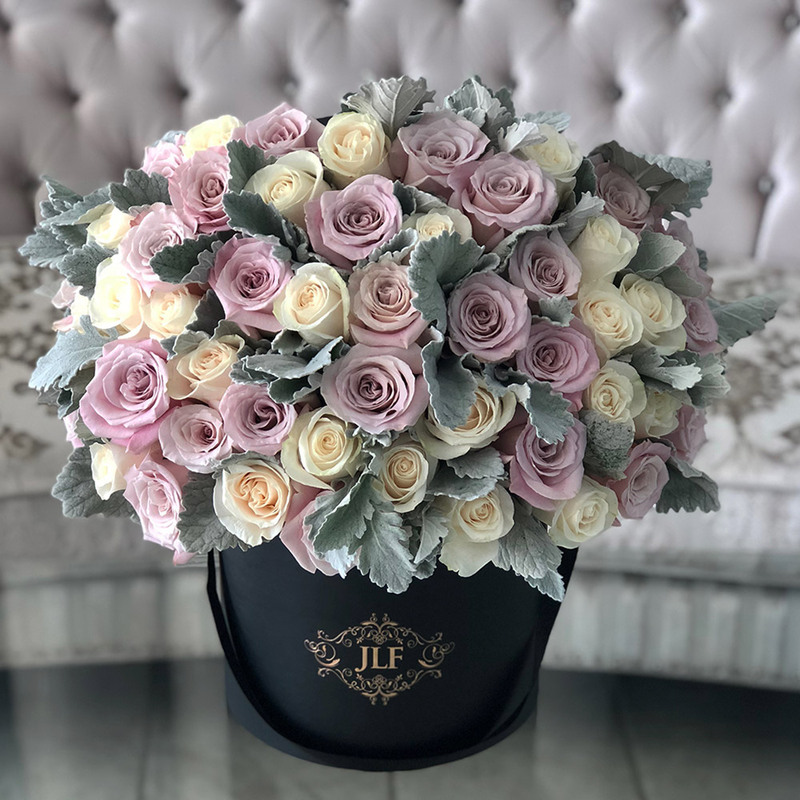 50 blush pink and white roses are beautifully put together accompanied by the ever so subtle dusty miller leaves, creating this fascinating arrangement. The arrangement in the photo is in our Medium size box.